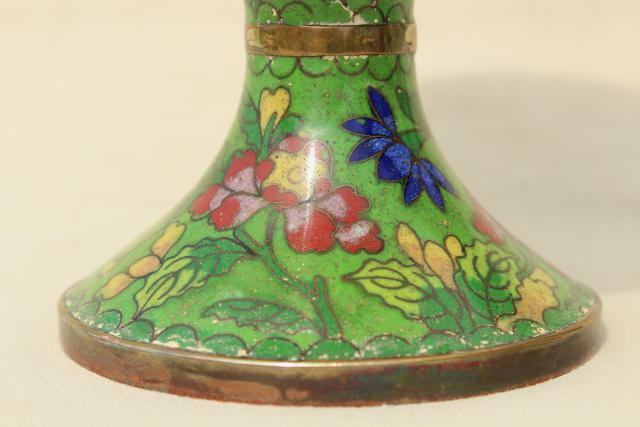 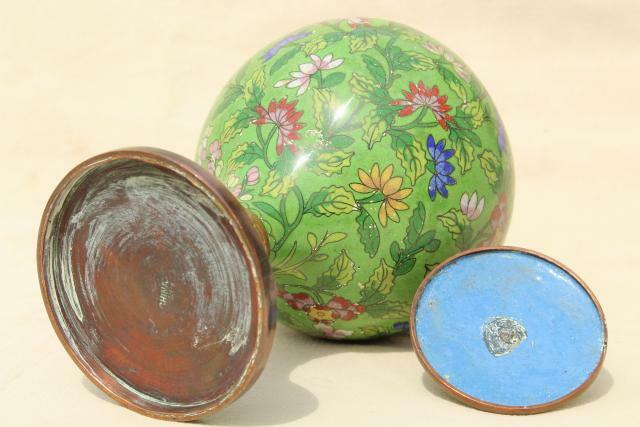 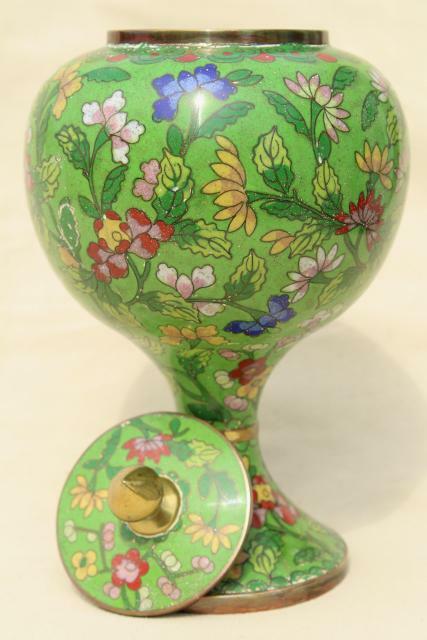 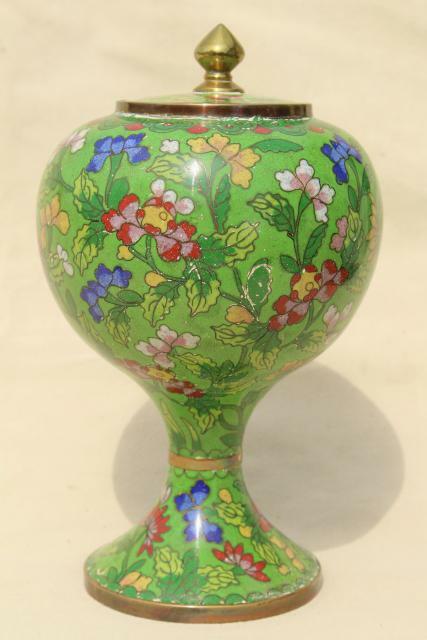 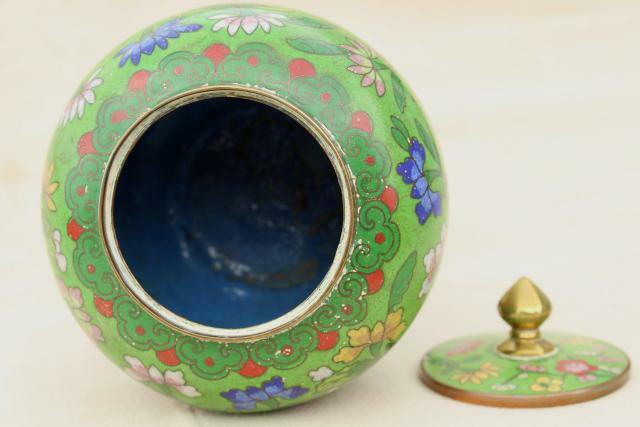 Beautiful enameled brass ginger jar - painted enameling rather than cloisonne or champleve, I think. 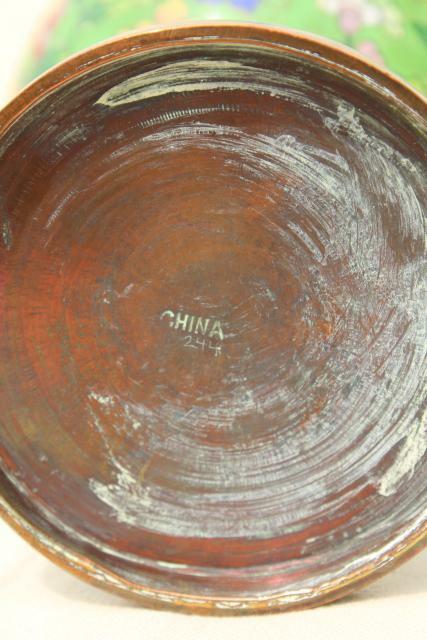 This is marked only China on the bottom of the jar. 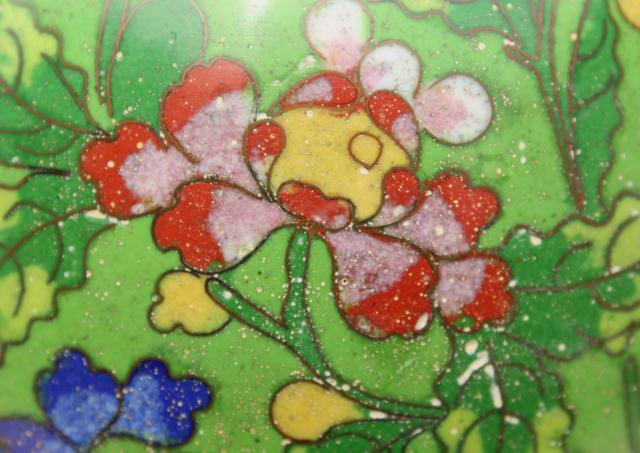 It's a 20th century piece made for export, not antique, but vintage. 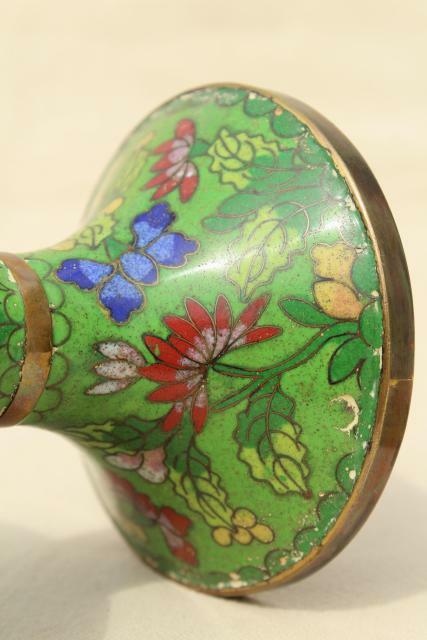 It's in very good condition without damage to the decoration. 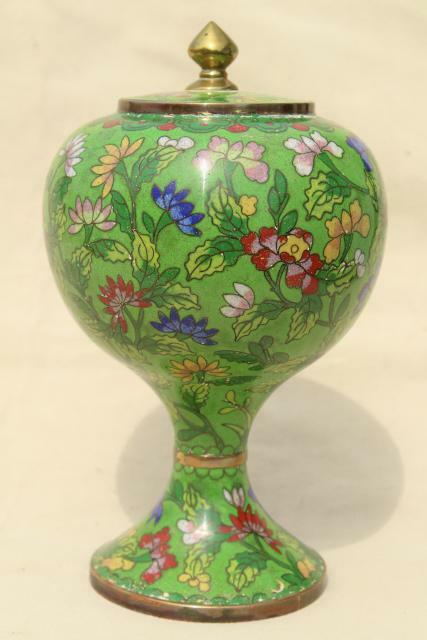 Stands about 8 1/2" tall overall. 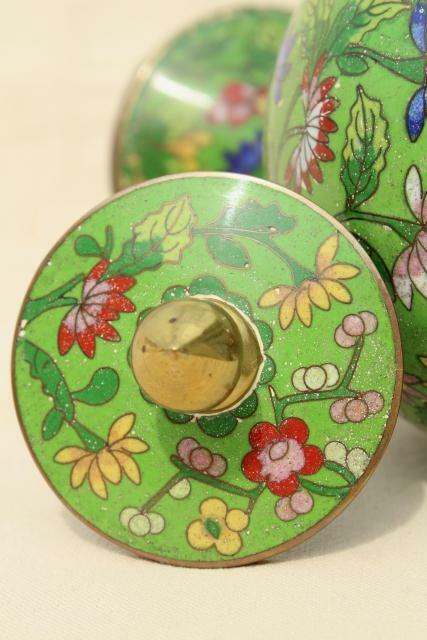 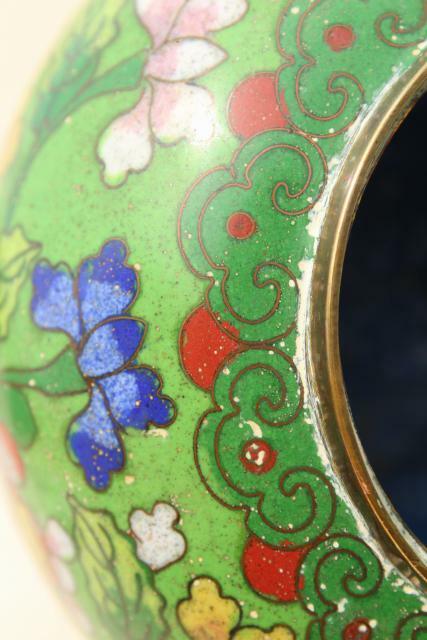 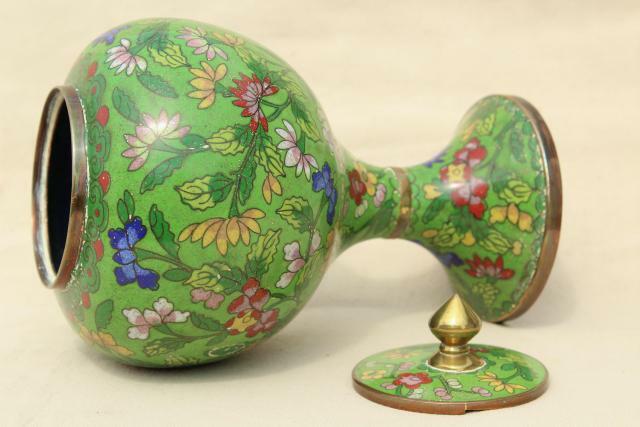 We love the gorgeous rich colors, and have very seldom found enameled wares in green!